The Government is to make it illegal to harass patients or protest within a certain distance outside premises providing abortion services. Sources say Health Minister Simon Harris wants to create exclusion zones, or ‘buffer zones’, to protect patients from abusive behaviour or offensive images. 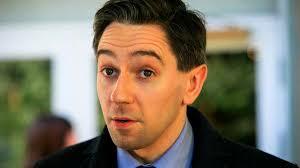 The proviso will form part of legislation currently being drawn up to introduce abortion in to the State. The minister is said to be conscious of balancing any such prohibitions with the well- established right to freedom of expression, of which the right to protest is key. However, during the referendum, the use of graphic imagery, and the over-bearing presence of anti-abortion campaigners outside maternity hospitals and schools caused considerable upset to patients and parents. Gardaí were called to the Rotunda Maternity Hospital in Dublin at one point when doctors became concerned about the psychological impact such activity was having on women and their families. Billboards were placed in such a way that the images were unavoidable, and gardaí said they had no authority to order the protesters to leave. Meanwhile, the Government is also considering subsidising the cost of the GP service for abortion to ensure no woman is disadvantaged because of her economic circumstances. “Our priority is that no woman is treated differently because of her economic circumstances – part of the reason we legalised abortion is to ensure women no longer turned to the web for abortion pills,” a source told the Irish Independent. Some GPs have said the cost of an appointment for abortion services would be in excess of the basic fee as it would be more comprehensive and take longer. In addition, women will have to pay for at least two appointments because of the 72-hour mandatory period of reflection. The cost of the process could reach €300, pricing some women out of the service. But sources also say that while the Department of Health is only beginning negotiations with GPs about how to provide the service, Mr Harris is said to be eager to ensure access to abortion forms part of State-provided healthcare for women, as it is in most EU member states such as Spain, Portugal and Germany. It may even come under the Maternity and Infant Care Scheme, which provides State-supported family doctor and hospital care. “We want women to have a full range of options open to them, and while some will opt to have a termination after the 72-hour pause period, others will not,” said the source. Another element of the Government’s thinking is to prevent the creation of an abortion-provider industry by keeping the service strictly within the state system. “In the UK, private clinics like Marie Stopes are charging €400 for an abortion pill – the department wants to keep that industry out. This is not the UK system, which is much more dated,” said the source. The Health Products Regulatory Authority (HPRA) is now open to receive applications from drug companies for the license to provide Mifepristone and Misoprostol, the two tablets taken in a medical abortion. This is likely to happen through mutual recognition procedure by a company operating in another EU state.